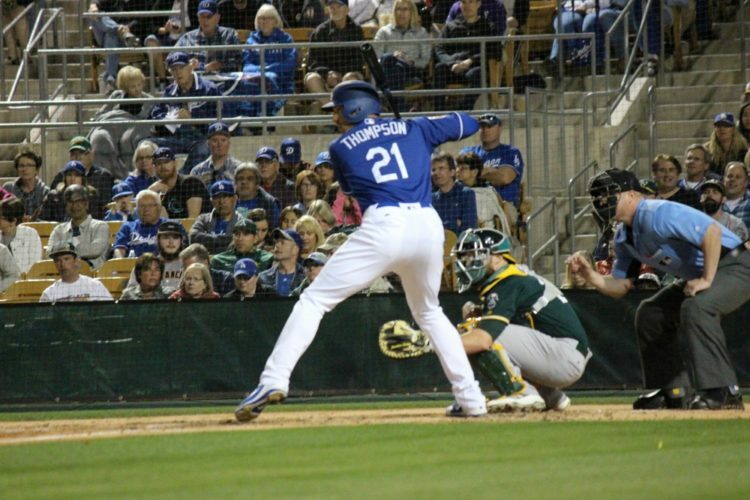 In my Opening Day roster prediction, I — somewhat reluctantly — included Trayce Thompson. You’ll find fewer, bigger Thompson fans than yours truly, but I’m willing to admit there’s not a great chance he’s in the Dodgers organization in a week. If you look at the center field depth charts on FanGraphs, there are a lot of teams that could use a potential center fielder. His former team, the White Sox, are ranked last, but they have a right-handed center fielder slated for most of the playing time in Adam Engel. They also have Luis Robert, who could claim the spot later this season (after recovering from a sprained thumb ligament). The Giants, well, we’re not gonna talk about that. The Royals have a couple of more logical in-house options to platoon with Jon Jay. The Tigers are in the same boat, while the Rangers probably want to see if Delino DeShields Jr. can handle the role full-time. The rest of the bottom-10 have their present and/or future center fielders already in place. So, let’s see if we can find a home for Thompson. A couple of teams that make a lot of sense are the Athletics and the Rays. In fact, DRays Bay wrote a post yesterday morning about how Tampa should be in on Thompson. That’s of players on the projected active roster. Johnson (a non-roster invitee) and Wendle have more experience as infielders and, more importantly, aside from Gomez all the other outfielders hit left-handed. If you expand it to players on their 40-man roster, you add prospects Jake Bauers and Justin Williams. And yes, you guessed it, both hit southpaw. Brandon Snyder is a 29-year-old NRI who has experience in the outfield as well, but Thompson has more potential than he does. There’s a clear lack of right-handed hitting outfielders in Tampa, making it a viable destination for Thompson. The Rays have a full 40-man roster, but they’ll have to place former Dodger prospect Jose De Leon and Brent Honeywell on the 60-day disabled list, as both underwent Tommy John surgery this spring. That will clear up two spots, one of which could be used on Thompson (while Johnson could be added or sent to the minors). The A’s also make some sense for Thompson’s services. Here’s how their outfield depth chart stacks up (40-man roster). Adding Thompson would fill up an already-crowded outfield depth chart, but let’s break this down. Davis is basically a designated hitter at this point, so cross him off. Pinder is primarily an infielder, while Canha is basically a 1B/DH-type and isn’t a great defender in the outfield. Laureano doesn’t have any experience above Double-A and profiles better in a corner than center field. That leaves the starting outfield (left-to-right) of Joyce, Fowler and Piscotty. Both Joyce and Fowler hit left-handed, but only showed the ability to handle left-handed pitching in the minors the last two seasons, so he might not need a straight platoon partner. Joyce, on the other hand, has a career .569 OPS against left-handed pitching, so he’ll need to be platooned. Thompson could be that guy, making it so the A’s don’t have to use another left-handed hitter or player without the upside Thompson possesses. The return in any Thompson deal will be minimal. It could just be cash, it could be a 25-year-old Low-A reliever or something like that. 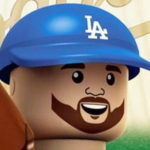 The Dodgers have no leverage here because Thompson is out of options and the Dodgers would have to expose him to waivers if they wanted to send him to Triple-A. I’m assuming the Dodgers would rather go this route than to lose a potential asset for literally nothing. I’m probably in the minority, but Thompson still has everyday player upside. In reality, he’ll probably have to realize that potential in another uniform. The Rays or A’s make as much sense as any other team. Thompson’s ability to play all three outfield spots competently — especially center field — makes him a potentially valuable player. Justin Turner‘s broken wrist increases the odds Thompson makes the roster because Enrique Hernandez should see a steady diet of second base in Turner’s absence. But if the Dodgers aren’t keen on starting Joc Pederson in Triple-A, then they’ll either find a way to trade Thompson or risk losing him for nothing. I’d expect a trade in the next handful of days.